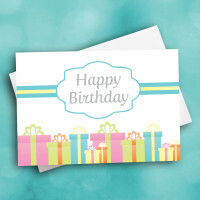 A pretty pastel birthday design to send a sweet birthday greeting. 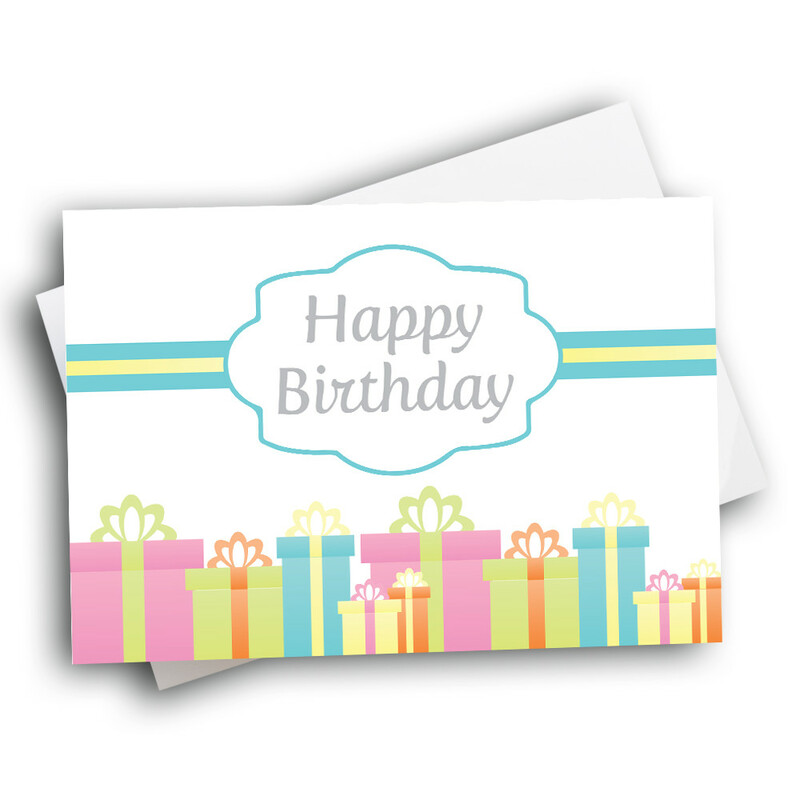 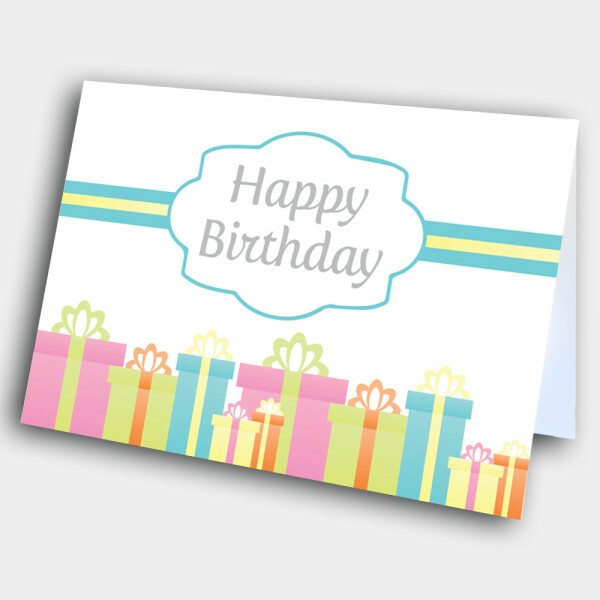 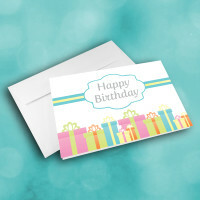 Send a simple but beautiful birthday greeting card on someone's special day. 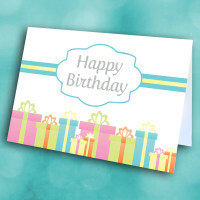 The front is decorated with pastel presents lined up neatly along the bottom, with a blue birthday banner running through the center. 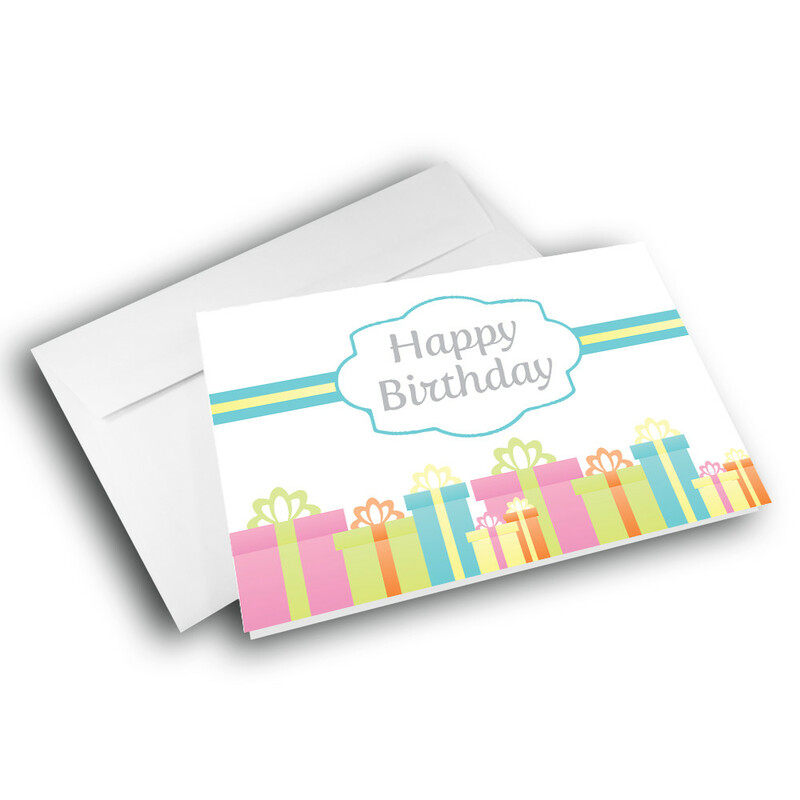 Add a personalized message inside to make this a custom birthday greeting card.